When you invest in a piece of machinery, you want to make sure you are getting the best of the best. You also want to make sure you do not break the bank while doing so. This is especially true when investing in a sewing machine. Whether you are the head costume designer at a costume shop, an aspiring fashion designer, or someone who just likes to make skirts on the weekend, having a reliable sewing machine is vital for your work. If you want something top notch in the sewing world but easy on the checkbook, check out the Brother Pq1500Sl sewing machine. 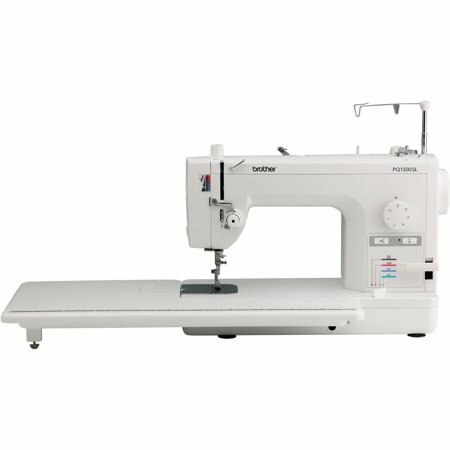 What Is the Brother Pq1500Sl Sewing Machine? In this post, we'll share everything about the Brother PQ1500SL to help you learn more about it. The Brother Pq1500Sl sewing machine is an incredible machine at a reasonable price. It can sew up to 1,500 stitches per minute, which will allow you to finish your sewing projects in a flash. This sewing machine also comes with four different feed dog settings so that you can have the maximum amount of fabric control at all times. What makes the Brother Pq1500Sl so great is that it can really help you save time. It has a built-in needle threader that takes the pain and hassle out of threading. There is also an auto thread trimmer on the Brother Pq1500Sl that will trim your thread with a push of a button. Not to mention the fact that this sewing machine comes with a 25-year limited warranty, basically guaranteeing you a long lasting piece of equipment. It has been known to consistently deliver year after year, with its only real downside being its weight. 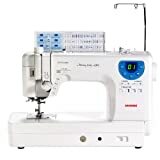 The price of the Brother Pq1500Sl, along with all the other sewing machines on this list, will vary depending on where and when you purchase it. If you want to make sure you get the best price around, make sure to check all available listing before you purchase it. If you decide to order the Brother Pq1500Sl from Amazon. We picked a few similar sewing machines available on the market to see how they compare. The price of this sewing machine will vary depending on where and when you purchase it. To make sure you get the best deal, be sure to check all possible listing before purchase it. If you order the Brother Pq1500Sl from Amazon. Using the Brother Pq1500Sl is a breeze. 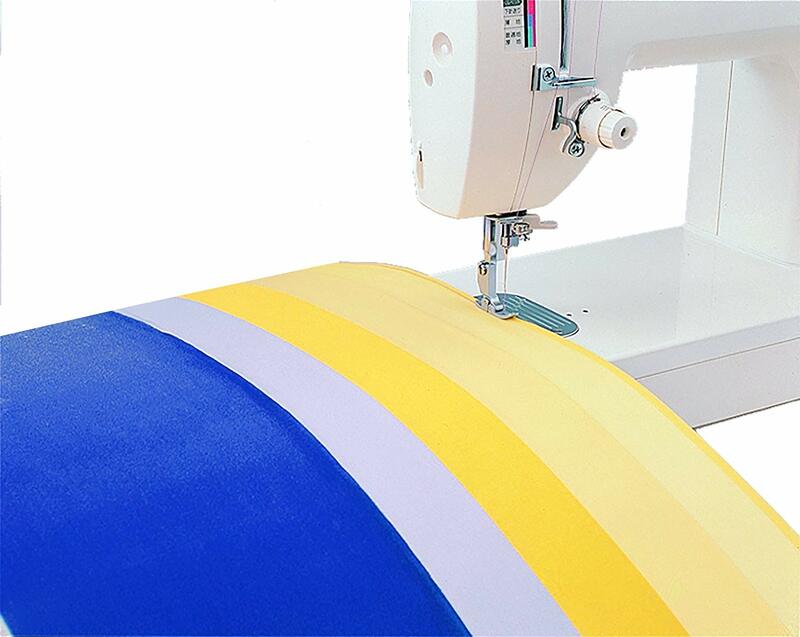 With its ability to stitch up to 1,500 stitches per minute and create stitches up to 7mm in length, you won’t have to worry about your projects not getting done. There are also four feed dog settings to provide you with optimum fabric control. As if all that was not enough, the built-in needle threader and the auto thread trimmer make starting and stopping your work simpler than ever. There is not a lot of assembly required for the Brother Pq1500Sl, but it is important to note that the machine itself is quite heavy. You will have the run the thread through the bobbin and get things in place, but with the built-in needle threader, you will not have to deal with the difficult threading part. The Brother Pq1500Sl comes with a large extension table and a knee lifter that make it perfect for quilters or those using bulky fabrics. There is also an LED light to help you see while sewing dark fabrics. Its appearance is decent although it has been known to be a bit heavy. Once you move it to the appropriate place in your workstation, you should no longer have to worry about that problem. The Brother Pq1500Sl comes with a 25-year limited warranty. If you purchase it from Amazon, you have the option to add on either their two-year or three-year protection plan. The two-year plan will cost you an additional $7.57, and the three-year plan will cost you $19.14. 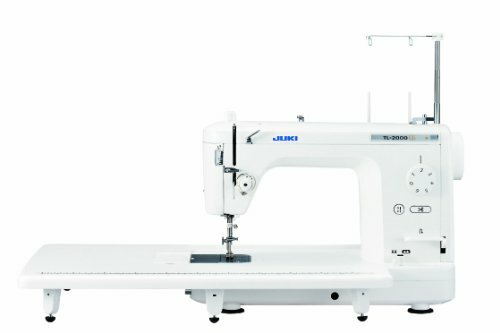 The Juki TL-2000Qi is a great sewing machine with quite a lot to offer. Like many other machines on the market, it comes with an extension table to provide you with a wider work area. The price of this sewing machine may differ depending on where and when you purchase it. To make sure you are getting the best price, be sure to check all possible listings before purchase. You can order the Juki TL-2000Qi from Amazon. This sewing machine can stitch up to 1,500 stitches per minute, which is sure to speed up your work time. It also operates with only a single pedal and has LED lights to ensure you have full control over your creation. There is not a lot of assembly required for this sewing machine, but it does come with a user manual in case you run into any trouble. This machine also has an automatic needle threader to help speed up your pre-sewing work time. Probably the nicest aspect of the Juki TL-2000Qi sewing machine is its ability to reduce the vibrations created. By smartly creating the arm and bed out of aluminum die-cast, they have reduced the vibrations and the shakiness while you sew. The extension table is also a big plus for anyone who enjoys quilting or using large, bulky fabric. This sewing machine comes with a 2-year limited warranty. If you purchase it from Amazon, you have the option to add on either their two-year or three-year protection plan. The two-year plan will cost you an additional $8.64, and the three-year plan will cost you $13.91. The SINGER Quantum Stylist 9960 is an incredibly intelligent sewing machine that can take your work to a whole new level. With a small digital LCD screen and a selection of buttons, you can create over 600 different types of stitches, all of which are built into the machine. This includes things like buttonholes, fonts, and mirror imaging. It can really take your ideas and push them where you never believed they could go. Plus, it will be able to save you a great deal of time on embroidering, hand-stitching, or continuously resetting your sewing machine for different stitches. If you are not familiar with electronically controlled sewing machines, you may have a bit of a learning curve to overcome. That being said, this machine does make it very simple to learn. Once you do understand all the features, programming and sewing will become easier than ever. With their 600 built-in stitches, you can try out new stitches, make a complicated garment, or master your favorite stitches with ease. There is not a whole lot of assembly required with this sewing machine, but there is a manual included that should be able to answer and questions you may have. It also comes with an automatic needle threader that can take the thread from the spool to the eye of the needle in six seconds. The built-in stitches and the needle threader are great, but in the end, you only really care about the quality of the machine. This sewing machine runs smoothly and makes using it simpler than ever. The one major design downfall is that it has a much smaller extension table than its competitors. While it may be able to do a lot, it will not be able to hold a lot of fabric on its workspace. This sewing machine comes with a 25-year limited warranty. The Janome MC-6300P Professional is another computerized sewing machine that could help you save time. It comes with an LED display that shows all types of information, including an indicator for when your bobbin is running low and twin needle guards. While it may be more expensive than other sewing machines, it could help you create fabulous work. The price of this sewing machine will vary depending on where and when you purchase it. To make sure you are getting the best deal, be sure to check all possible listing before purchase. You can get the Janome MC-6300P Professional on Amazon. Unlike some of the other sewing machines on the market, the Janome MC-6300P Professional comes with an automatic thread cutter. This thread cutter also has memory capability to remember what length you want it cut at. There is not a lot of assembly required with this sewing machine, but if you did have any problems with it, there is a user manual included. The Janome MC-6300P Professional comes with a knee-lift and drop feed controls. What is also great is that it can perform 66 different types of stitches, four of which are buttonholes. While this may not be as many as some of the other computerized sewing machines are capable of, it is more than enough to get what you need to be accomplished. Its LED screen and indicator lights are also great perks. This sewing machine comes with a 25-year limited warranty. If you purchase it from Amazon, you can also choose to add their three-year protection plan. This plan will cost you an addition $13. 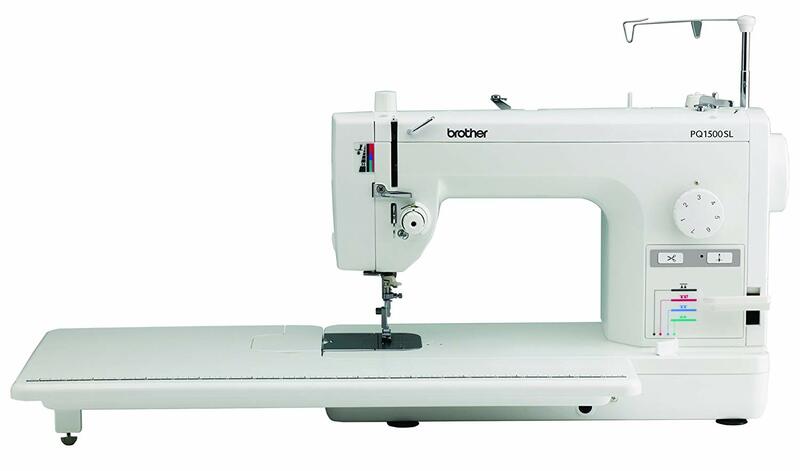 There are tons of incredible sewing machines on the market, but none quite like the Brother Pq1500Sl. 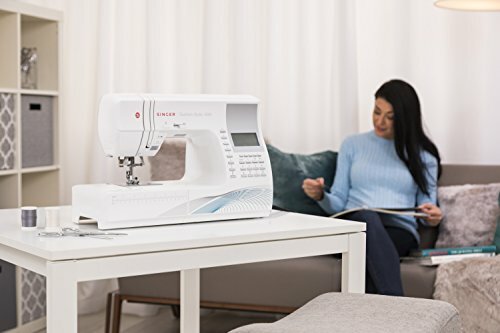 This sewing machine can easily stitch up to 1,500 stitches per minute and comes with four feed dog settings to give you maximum fabric control. Overall, the Brother Pq1500Sl receives a rating of 4.5-stars. It is incredibly affordable compared to its competitors and is backed by a 25-year limited warranty. It is simple to use with its auto thread trimmer, long extension table, knee lifter, built-in needle threader, and its LCD light. If you need something trustworthy, easy to use, and affordable, you need to give the Brother Pq1500Sl a try. Brother PQ1500SL is very reliable sewing machine that comes with a four feed dog settings and an LCD light. This unit comes with a 25-year limited warranty that makes it a sound investment. The only drawback in this machine is that it can be heavy. Previous articleBrother HC1850: Is It the Best Quilting Sewing Machine Available?